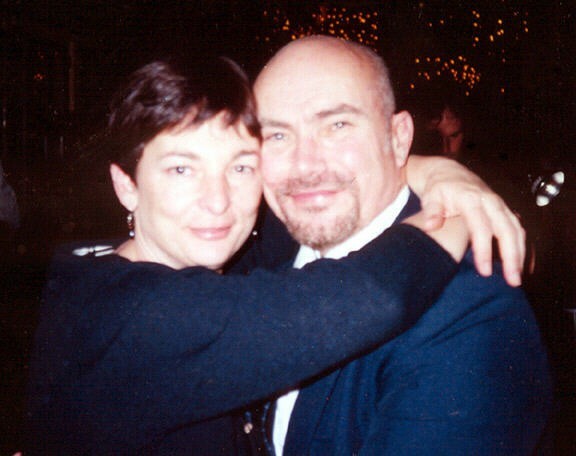 On March 11, 2008, my wife and I went to the F.B.I. office in Newark, New Jersey. It is not your former law firm's fault that you have mental problems. Just work out a payment plan. COVER UP By Office of Attorney Ethics Director David E. Johnson, Jr.
Federal and state malfeasance charges should be brought against Robert Correale, Esq. Why the evident lack of concern in this blatant Political Cover-Up? High Level State Supreme Court Official Loses Legal Malpractice Case Against Him And His Law Firm. WHEN POLITICIANS ARE ABOVE THE LAW, AMERICA LOSES. Tea Party Patriot is just looking for real, American "Constitutional" Justice... nothing more. Make a call to Help this Vet!! Government Corruption: Is It Your Obligation To Speak Out If You See It? My New Jersey corruption charges center around a corrupt New Jersey law firm, MAYNARD & TRULAND. "No taxation without representation" was a rallying cry of the American Revolutionary War. I need Everyone's help with a brief phone call. "Money is THE great source of stress in relationships,"
If Someone Said "Divorce From Hell", What Do YOU Think It Would Refer To? Would You Pay An Attorney $612 For His Time, If He Came To A Proceeding Unprepared And Sat Silent? Recall New Jersey Governor Jon Corzine. Please press here for details. This corruption is poisoning the Legal Atmosphere in the whole State. Superior Court Judge Believes PTSD Vet Over An Attorney Ethics Vice-Chairman. I lose it, when it comes to my New Jersey corruption crap. WHAT HAPPENS AFTERWARDS, WHEN JACK CUNNINGHAM'S CORRUPTION CHARGES ARE FOUND TO BE TRUE.. If it's true that the U.S. Congress has the power to enforce, by appropriate legislation, the provisions of the United States Constitution - Amendment XIV, I'm requesting a U.S. Congressional Investigation against the State of New Jersey's violation of this Constitutional Amendment and violation of my Civil Rights under this amendment. For a number of years now, the State of New Jersey has deprived me of due process and my right to equal protection of the laws. 1. All persons born or naturalized in the United States, and subject to the jurisdiction thereof, are citizens of the United States and of the State wherein they reside. No State shall make or enforce any law which shall abridge the privileges or immunities of citizens of the United States; nor shall any State deprive any person of life, liberty, or property, without due process of law; nor deny to any person within its jurisdiction the equal protection of the laws. 2. Representatives shall be apportioned among the several States according to their respective numbers, counting the whole number of persons in each State, excluding Indians not taxed. But when the right to vote at any election for the choice of electors for President and Vice-President of the United States, Representatives in Congress, the Executive and Judicial officers of a State, or the members of the Legislature thereof, is denied to any of the male inhabitants of such State, being twenty-one years of age, and citizens of the United States, or in any way abridged, except for participation in rebellion, or other crime, the basis of representation therein shall be reduced in the proportion which the number of such male citizens shall bear to the whole number of male citizens twenty-one years of age in such State. 3. No person shall be a Senator or Representative in Congress, or elector of President and Vice-President, or hold any office, civil or military, under the United States, or under any State, who, having previously taken an oath, as a member of Congress, or as an officer of the United States, or as a member of any State legislature, or as an executive or judicial officer of any State, to support the Constitution of the United States, shall have engaged in insurrection or rebellion against the same, or given aid or comfort to the enemies thereof. But Congress may by a vote of two-thirds of each House, remove such disability. 4. The validity of the public debt of the United States, authorized by law, including debts incurred for payment of pensions and bounties for services in suppressing insurrection or rebellion, shall not be questioned. But neither the United States nor any State shall assume or pay any debt or obligation incurred in aid of insurrection or rebellion against the United States, or any claim for the loss or emancipation of any slave; but all such debts, obligations and claims shall be held illegal and void. 5. The Congress shall have power to enforce, by appropriate legislation, the provisions of this article. Void Judgments, move to vacate previous judgments for harmful errors, constitutional violations, fraud… etc… all forms and docs you need are on the court web sites. Help bring this to Justice. Please press the above link to sign the petition to Chris Christie, where an honorable, combat veteran is asking him to call for an investigation on this. Currently, we are nearing 25,000 signers. 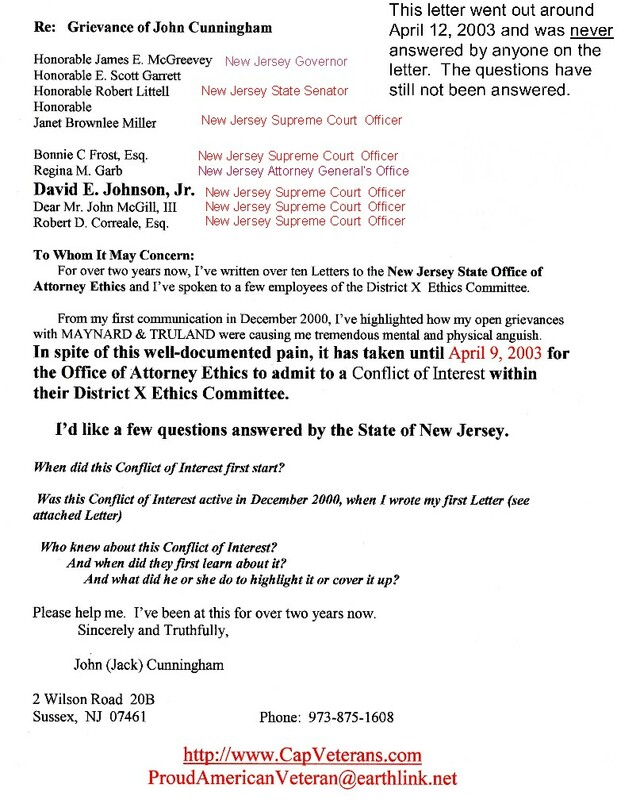 On December 21, 2000, I first wrote a letter to the New Jersey Supreme Court's Office of Attorney Ethics complaining about the Maynard & Truland law firm in Morristown, New Jersey and their attorney Robert Correale. Maynard & Truland was a law firm that I retained to represent me in a Superior court case. We were four months into the contract, so I did not want to change the law firm; I just wanted Maynard & Truland and their attorney Robert Correale to act professionally. My complaints in the letter were Maynard & Truland's complete lack of professionalism, which included their gross negligence, their (Correale) overcharging me, their (Correale) false billing, their (Correale) inability to have me removed from a court default that they caused themselves and their (Correale) complete lack of communications. I no longer wanted to feel like I was fighting Maynard & Truland and their attorney Robert Correale, more than the real opposing parties. 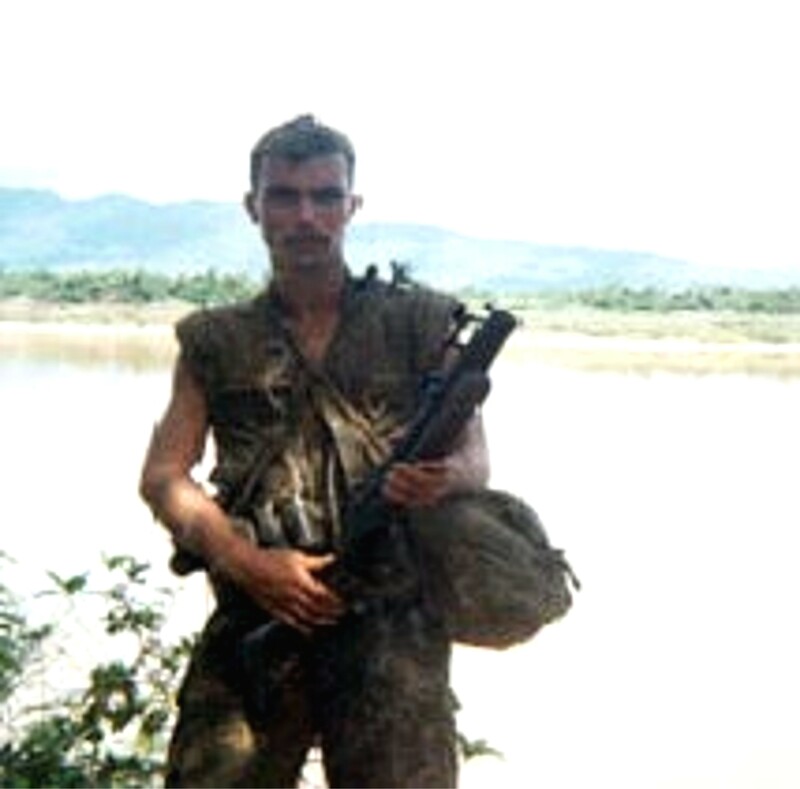 I opened my letter to NJ Supreme Court's Office of Attorney Ethics explaining that I was a veteran from the Vietnam War and that I was disabled with PTSD, due to heavy combat from living and serving (24/7) in a Vietnamese peasant village. I added that I suffered from chronic pain resulting from a terrorist bomb blast that I received in the village. I highlighted how Maynard & Truland's lack of professionalism was greatly exacerbating my PTSD and chronic pain. At the time, I was not looking for anything other than Maynard & Truland to represent me in a professional manner, yet understand I suffered from veterans disabilities. With the letter, I included a federal Veterans Affairs (VA) diagnose statement as well as VA medical progress reports, which clearly stated the impact Maynard & Truland ethics violations were having on my disabilities. I also supplied letters that I sent Maynard & Truland's attorneys begging them to act professionally. I supplied all this personal information in the hope the State of New Jersey would provide me with some reasonable disability accommodations and insure that the law firm acted professionally. 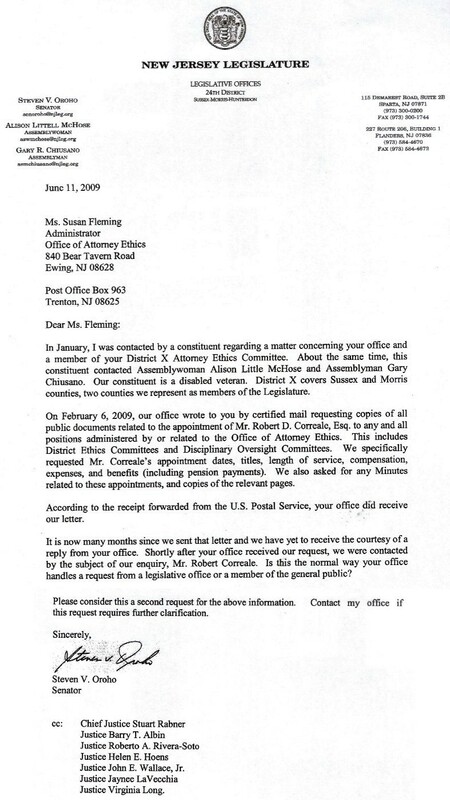 Six days later, the Secretary of District X Ethics Committee, Bonnie C. Frost wrote a return letter that stated, due to New Jersey Court rules, their office could not do anything to help me. She added I was free to get advice from another attorney. The detailed evidence, I supplied the Superior Court Judge Ronald Graves on the Open Bill/Legal Malpractice case that day was enough for the judge to decide against Vice-Chairman of Attorney Ethics Robert Correale and his law firm. Their open bill charges were dropped and the judge determined that my charges of legal malpractice warranted (merited) the Superior Court Law Division for damages. Vice-Chairman of Attorney Ethics Robert Correale and his fellow Maynard & Truland attorneys were later cleared by the Office of Attorney Ethics, when they swore to written Certifications to the New Jersey Supreme Court, which were filled with perjurious, misleading and vague statements. This Superior Court transcript went missing in 2003. The State of New Jersey is still looking for it. Although, I have written numerous letters to the federal Department of Justice requesting they assist me in getting my Civil Rights and Due Process from the State of New Jersey, the Department of Justice insists this is a New Jersey issue and they refuse to help. My years of certified letters to New Jersey governors, attorney generals, NJ federal senators, NJ court systems go unanswered. In 2010, the Cover-Up still goes on... Former Vice-Chairman Robert Correale, his former attorneys at Maynard & Truland and those politicians and state government officials, who protected them for almost ten years, stay above state and federals laws. Currently, my State Senator Steven Oroho has been investigating this and has been since November 2008. I'm also trying to get my federal Congressman Scott Garrett involved in getting me my Due Rights and charging the State of New Jersey with denying me my civil rights for almost ten years and the violating the Americans with Disabilities Act for not giving me reasonable disability accommodations in the New Jersey Supreme and Supreme Court systems. This still remains the biggest topic of my Veterans Affairs (VA) therapy sessions and the exacerbation of my PTSD and chronic pain continues. But the one thing I know, I won't give up trying to get justice from the federal and state government. I never want to see this happen again to another PTSD vet or regular citizen. To be honest, I felt I was stonewalled by the two agents, who I spoke with from Public Corruption Squad 8. The lead agent refused to review my evidence, unless I had original documents with me. He told me I could have typed the documents myself. Three of the documents were New Jersey Supreme Court Attorney Ethics Certifications, along with Maynard & Truland's Contract and Invoices). When I asked the federal agent, if it was a crime for me to make up false evidence and lie to F.B.I. agents, he didn’t answer me. The discussion went down hill from there. However, I did get the two agents to review part of my evidence, including the part that they thought I may have typed myself (The New Jersey Supreme Court Attorney Ethics Certifications, along with Maynard & Truland's Contract and Invoices). When I asked the lead F.B.I. agent, if my Civil Rights to Due Process were being violated, he said no. I also asked, if the State of New Jersey should have given me "Reasonable Disability Accommodations" for my PTSD. He just repeated that no federal laws were broken. Since the agents refused to review the New Jersey Supreme Court Attorney Ethics Certifications, along with Maynard & Truland's Contract and Invoices, because they were not the originals, I actually had to play make-believe. They looked through part of the Certifications of James Maynard & Robert Correale and compared it to the Maynard & Truland's Contract. The F.B.I. agent admitted that all three contradicted each other when it came to the law firm's billing and Retainer paragraphs. Without farther information, the agent said the Maynard & Truland contract was wrong. After the agent examined Robert Correale's certification pertaining to the day he first started work on my case and compared it to his law firm's invoice's start-work date, the agent brought up again that I may have typed the documents myself. In the end, I was told that my corruption charges against the State of New Jersey were for civil court in the State of New Jersey. Since no federal crimes were being broken by New Jersey State officials and politicians, I had to deal with the State of New Jersey. When I informed the agents that the New Jersey Governor’s office and his Attorney General’s office do not even answer my certified letters, I was again informed that they are not breaking any federal laws. The center of my case are a corrupt law firm and Corrupt State Politicians, Judges & Officials. Press here for background details. The below letter was sent to U.S. Senator Robert Menendez and a number of other U.S. senators and congressmen/congresswomen in September 2006. Senator John McCain was the only response I received. His letter stated that I must deal with my New Jersey federal senators. 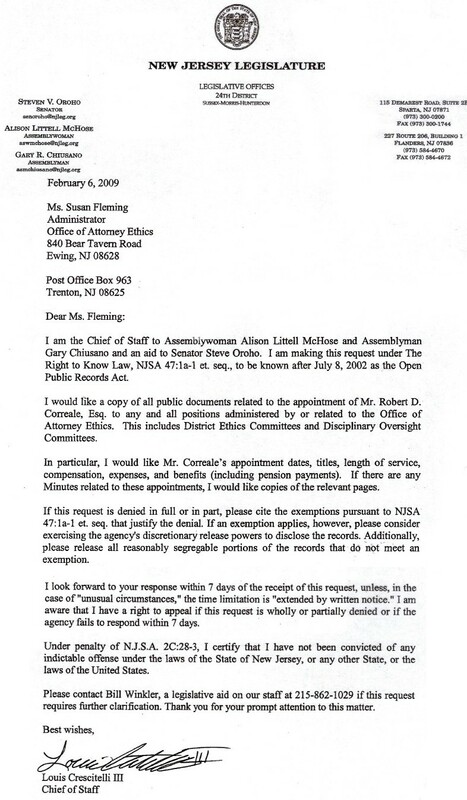 Senator Robert Menendez and his staff have never answered this letter and have never placed anything in writing. ( Senator Robert Menendez phone: 202-224-4744 ) New Jersey Governor Jon Corzine continues to not answer my numerous letters to him. 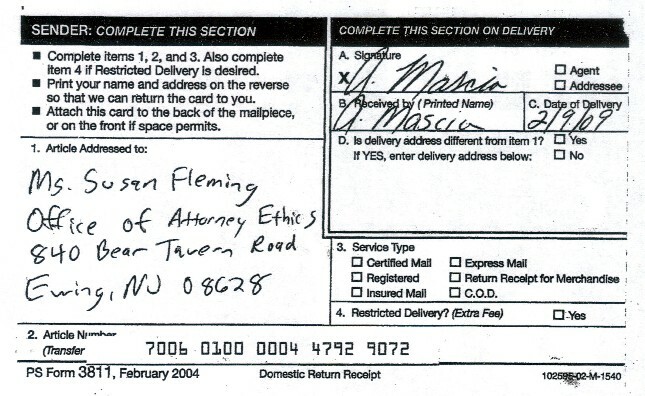 The federal Department of Justice, including the F.B.I., insist that I must deal with the State of New Jersey. The saga continues. 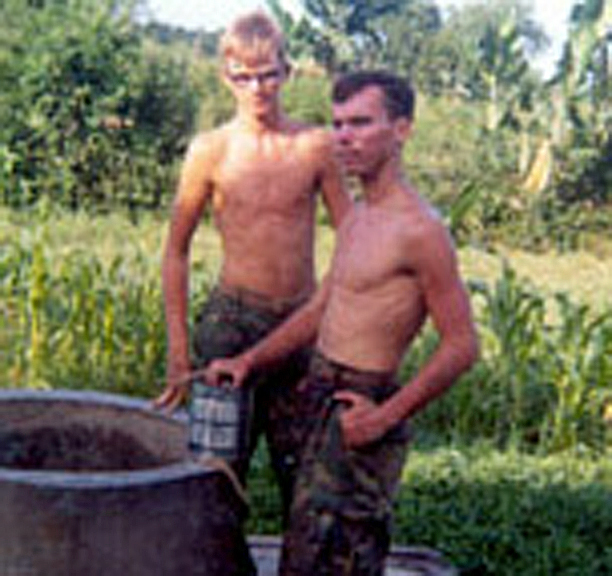 In Vietnam, Webmaster Jack Cunningham served (24/7) in a Vietnamese peasant-farming village. At times, there were only four (4) Americans in a village of 2,000 homes. Jack is holding his M-79 grenade launcher. The weapon was nicknamed "The Blooper" because of the sound the weapon made, when it released a round. Your "Due Process" under the law was violated. Perjury is also an issue which should not be over-looked. Try communicating with the US Attorney and/or FBI. Having been a pretty good "street cop" for 35 years this December, I read carefully what you sent me. If I was involved with this case and having the documentation that you and the courts have, I believe that I would approach a mid-ranking Officer in the police service in your area and inquire about "perjury" investigations. After spending 28 years in law enforcement, I've never seen such screw ups in my life. Sounds like these lawyers had something going with friends in high New Jersey government places. Theft of your constitutional rights and due process under the law, by deception. Please contact Senator Robert Menendez (Information below) and demand that John "Jack" Cunningham get his Due Process from the federal government and the State of New Jersey. PLEASE PASS THIS REQUEST AROUND TO YOUR FAMILY AND FRIENDS WHO USE THE INTERNET. The below letter was sent to U.S. 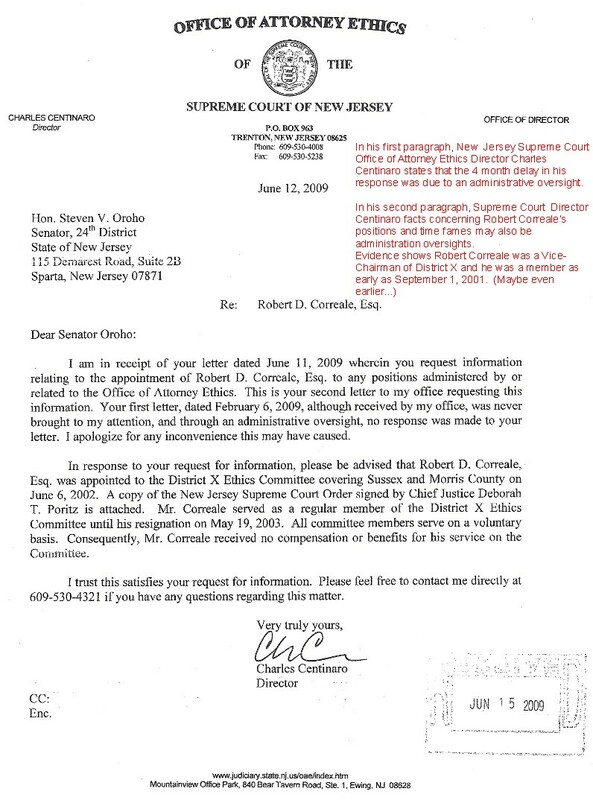 Senator Robert Menendez in May 2006, but he made no attempt to get the questions in the letter answered. He did his part in adding to this Cover-Up. This letter is just one of many different letters that were addressed to the listed politicians and New Jersey State Goverment officers. These questions were never addressed in verbal or written form by these parties. 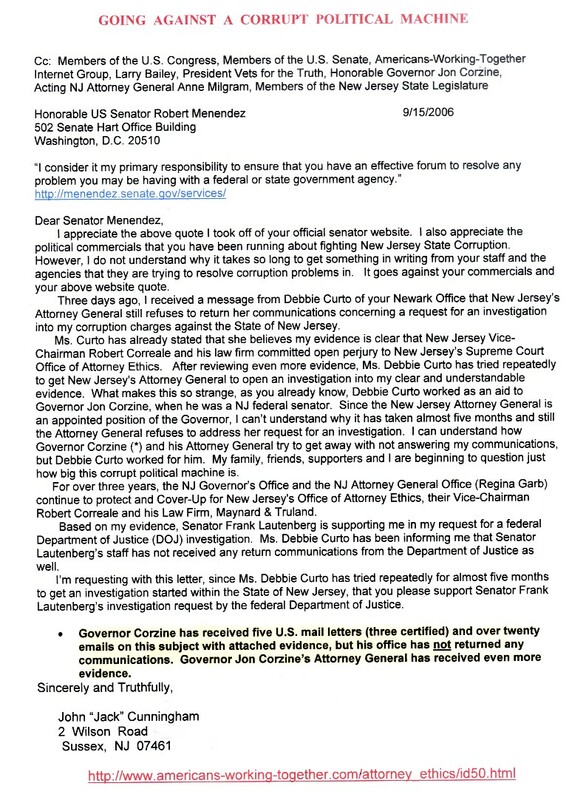 Although this letter and a great deal of other evidence have been sent by certified mail to New Jersey Governor Jon Corzine and His appointed NJ Attorney General, both these government offices refuse to reply or respond to my phone calls. 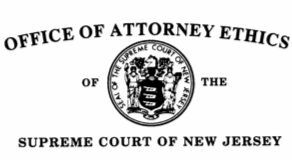 Being the local Vice-Chairman of New Jersey's Supreme Court's Office of Attorney Ethics, Robert D. Correale, Esq. was able to do what he and his Law Firm of Maynard & Truland wanted. With all their friends and influence around the State of New Jersey, they were clearly above the law. At least, they were for the last 5 to 6 years. Please press the above link to sign the petition to Chris Christie asking him to call for an investigation on this. Currently, we are nearing 25,000 signers.